Animals placed in a container filled with water show periods of increased swimming activity and periods of relative immobility. 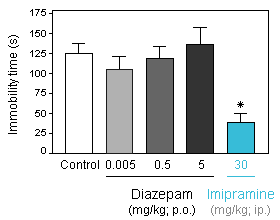 Clinically active anti-depressants have been found to delay the onset of the first phase of immobility and to reduce the total time of relative immobility. The list of active compounds includes monoamino-oxidase-A (MAO-A) inhibitors such as moclobemide, brofaromine, noradrenaline (NA) uptake inhibitors such as imipramine and amytryptilin, MAO-B inhibitors such as selegiline and tranylcypromine, serotonin uptake inhibitors (SSRI) such as fluoxetine and paroxetine and combined NA / SSRI such as venlafaxine. Benzodiazepines and other types of psychoactive compounds have been found to be inactive in this test. 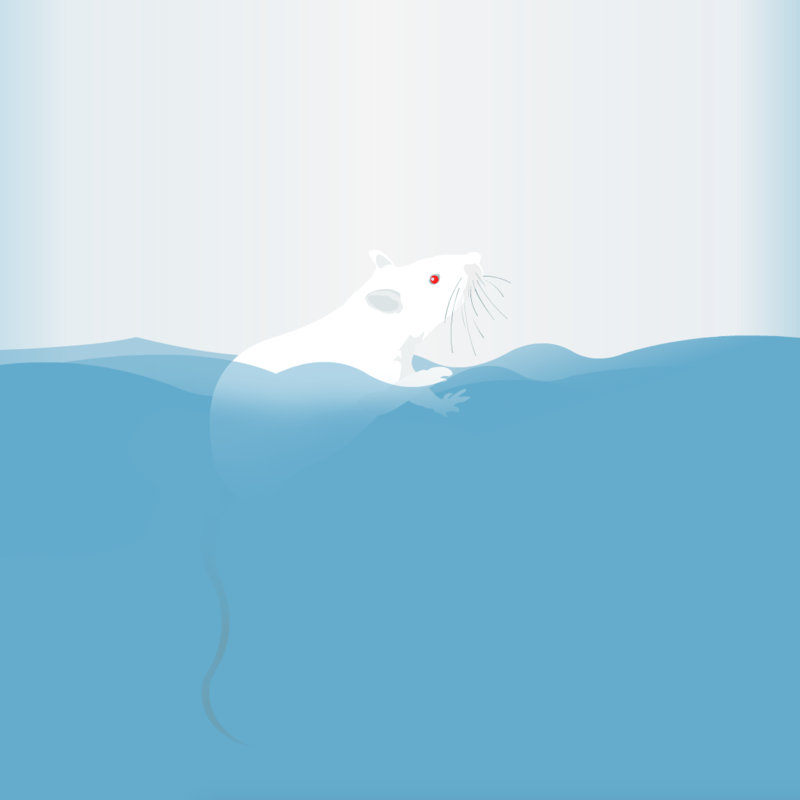 Compound testing addresses the effect of acute treatment on the immobility time of mice. Investigation of the effect of subchronic treatment is also possible. 30 min before the test. * means p < 0.05 versus Control group. Diazepam given p.o., 60 min before the test. 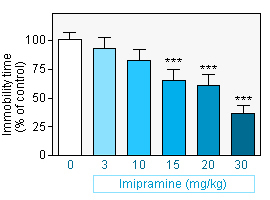 Porsolt RD, Bertin A, Jaffre M. Behavioral despair in rats and mice: strain differences and the effect of imipramine. Eur J Pharmacol. 1978, 51:291-294. Borsini F and Meli A. Is the forced swimming test a suitable model for revealing an-tidepressant activity ? 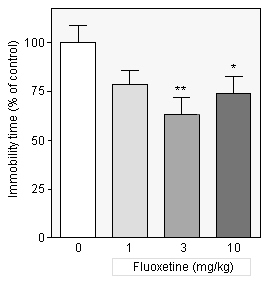 Antidepressant drugs, such as Imipramine and Fluoxetine, actively perform escape-directed behaviors and thus significantly reduce immobility time. Effect of reference compounds on neurite outgrowth in cortical neurons.